Honestly, I can’t remember the last time I had problems with my DIRECTV hardware. The last several years, it’s just been rock solid reliable. But every so often I still run a system test just to be sure. For one thing, it’s super easy to do. For another, it doesn’t take a long time. Here’s a quick guide to let you know what to expect. You’ll want to have a Genie remote handy. 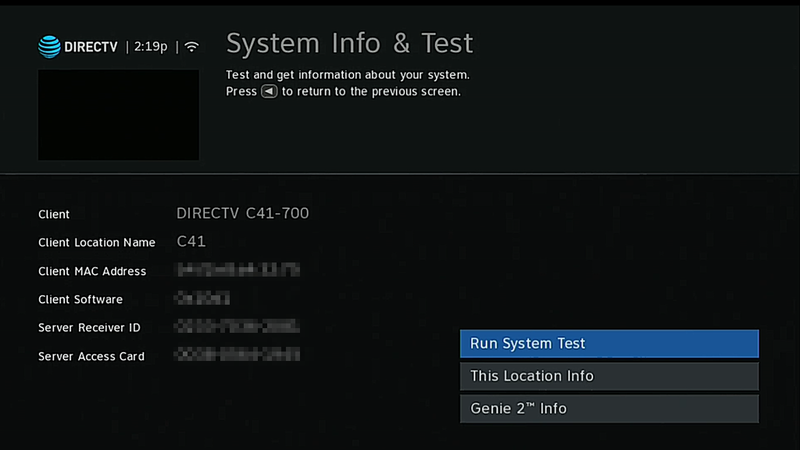 If you usually use a universal or app remote, you can still run a system test, but it’s just easier with the Genie remote. Press and hold the INFO button on the remote. 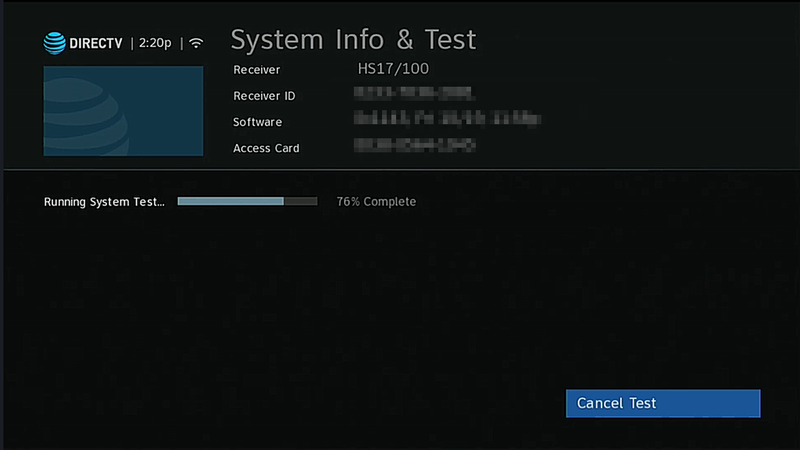 Press MENU then scroll down to Settings, over to Info&Test, and press SELECT. Either way you’ll get to this screen. 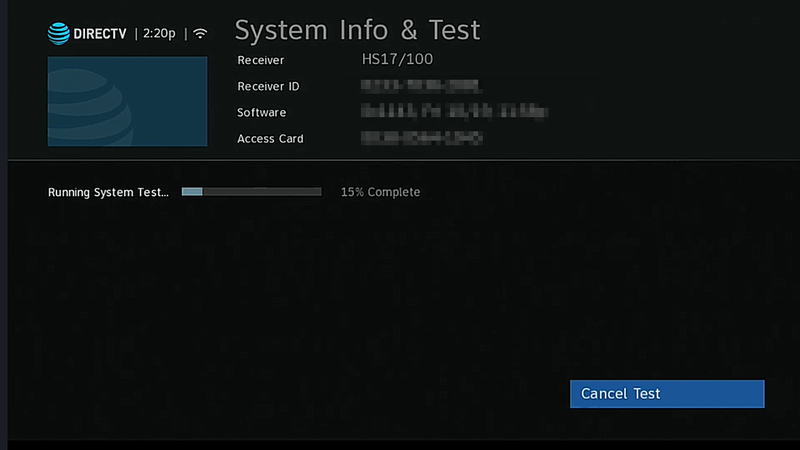 There will be personal details about your receiver and the software it’s running. I’ve blurred that out here. 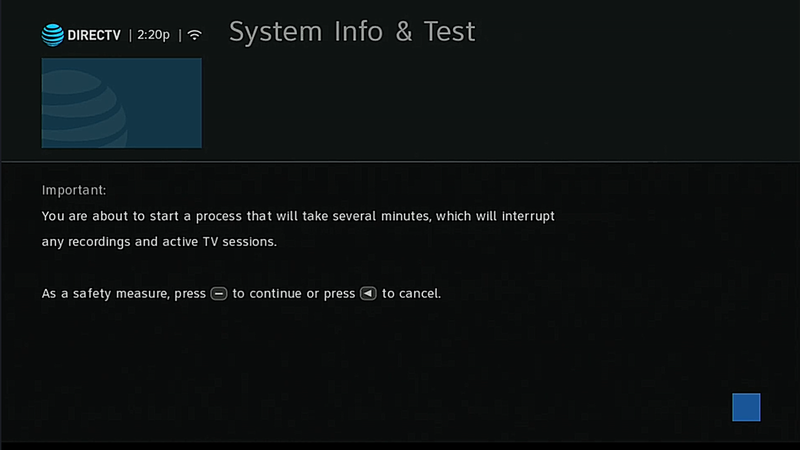 Press SELECT on the remote with “Run System Test” highlighted. You’ll have one last chance to back out. 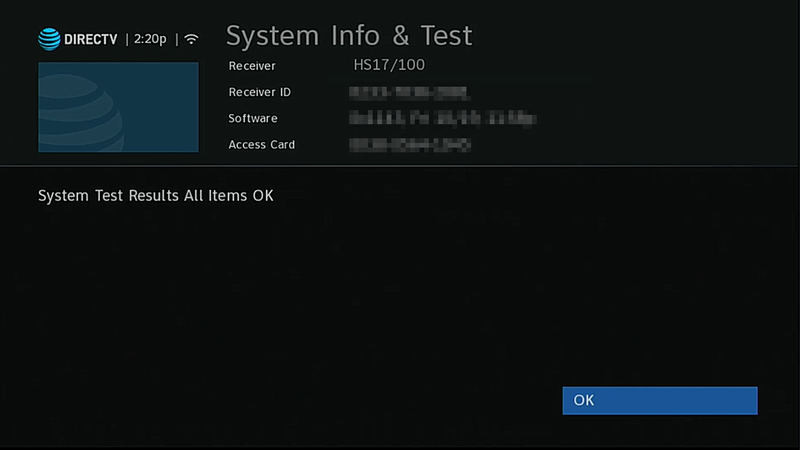 Keep in mind that running a system test will stop all active recordings. You might want to wait until there’s nothing on TV to do this. You’ll see the bar go from left to right. It’s perfectly normal for it to pause a few times. Once it’s done, you should see “All Items OK.” If you don’t, you’ll see an error message shown. You can get more information about that error message by checking out our list of error codes. This is essentially the same test that you’re running manually except that if there are problems with the hard drive they are fixed automatically. A DVR is a specialized form of computer and the hard drive does occasionally need checking for errors. The “receiver self-check” process also tests the integrity of the to-do list and channel guide data and flushes it if it’s corrupt. Then, in the course of the next few days, the guide data and to-do list are rebuilt, in plenty of time for anything that’s coming up. 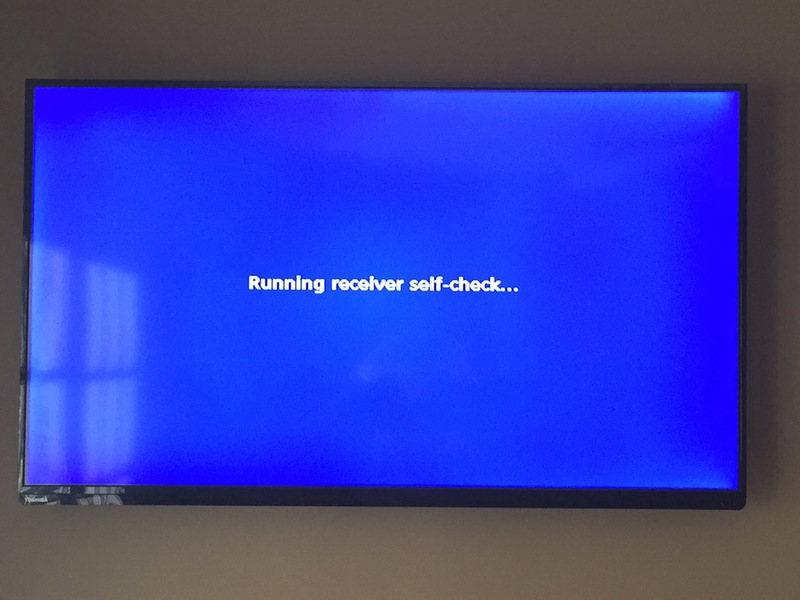 rather than wait for your receiver or DVR to fail completely, call the folks at Solid Signal. They can help you upgrade to the latest and greatest hardware. Often times there’s not even a charge. Start by going to Solid Signal. You can do a lot of it over chat, but if you want to talk to a person, of course our 100% US-based call center is available to help you during business hours. That number to call again: 877.312.4547.